Transpersonal Counselling has its foundations in traditional counselling practice, but sits within a deeper context of personal and spiritual growth. Life’s trials become an opportunity for clients to grow, become more fully themselves, and live more meaningful and rewarding lives. The work weaves a dialogue between conscious and unconscious, helping people to experience and integrate dissociated or shadow aspects of themselves and move toward their full potential as human beings. Relationship counselling is also available. For Bookings Ph. 0427 874 406. When our mind, body and spirit are in alignment we effortlessly walk along the path of life, attracting people and situations that match our frequency. By releasing fears and doubts, a space is created to be filled with more joy and inspiration. Lana helps you to achieve this using Reiki, Life Alignment and Home Alignment to restore balance, as well as HypnoBirthing on your journey to becoming a parent. Des practices Integrative Hypnosis - blending NLP, Hypnosis, and EFT. He often says, “I do not offer pills or potions, just my words and your imagination”. He is certified as a Clinical Hypnotherapist, NLP Practitioner, and an EFT Practitioner. Smoking cessation, Weight management, Pain management, Phobias and Allergy treatment. Often only one or two sessions are required. Session cost is $120 for a 1-1.5hr session. Aicha is an experienced Gestalt psychotherapist who has provided counselling and psychotherapy to people from diverse age groups and cultural backgrounds for the past fifteen years, including experience working with trauma, anxiety and depression. Underlying her practice is a belief that we all have the capacity to live our lives more consciously, and that therapy has the potential to assist people to become more aware of the habitual ways in which they react to life, and to consequently experience deeper levels of meaningfulness and connection in their lives. Psychotherapy offers an opportunity to gain a greater sense of self-awareness into the ways in which we live our lives, ways that may no long support us. It can provide an opportunity to explore our lives in a supportive, compassionate yet sometimes challenging environment. Aicha enjoys private practice in both Hawthorn and Warburton. Eszter is an overseas trained Medical Doctor, practicing as a Natural Therapist. Following her inspiration to facilitate healing with natural therapies has led her to study Traditional Chinese Medicine, Acupuncture. The consultation involves exploring the physical, mental, emotional and spiritual aspect of the whole person. Advice is given on nutrition, lifestyle and prevention. Chi Massage is a deep tissue therapy, removing blockages from the flow of Chi. Releasing muscle tension can enable us to release emotional issues – in a form of tears of laughter. This method cleanses, revitalises and detoxifies the organ systems of the body. Relaxation Massage uses a flowing form of body sweep to reduce the built up of stress related symptoms of muscle tension, aches and pains. Tesla Metamorphosis Healing has the intent to bring the frequency of light in human body into perfect balance. It uses Tesla Waves, named after Nikola Tesla, which, unlike Hertzian, get stronger with distance. The frequencies of Tesla Waves can enhance the frequency level of the consciousness to a higher level. When we elevate our consciousness level, there is more available for us out there. Any illness being manifested physically, mentally or emotionally is a result of an imbalance of the universal life force/chi within the body which is visible as a frequency of light. Once the balance of the light is re-established the healing takes place. accurately predict cycles and exact ages that changes will occur. Such a brilliant system that is easy and straight forward to understand. Tarot is an excellent tool for confident decision-making, clear communication and timely, decisive action. Tesla Metamorphosis Healing has the intent to bring the frequency of light in human body into perfect balance. It uses Tesla Waves, named after Nikola Tesla, which, unlike Hertzian, get stronger with distance. The frequencies of Tesla Waves can enhance the frequency level of the consciousness to a higher level. When we elevate our consciousness level, there is more available for us out there. Any illness being manifested physically, mentally or emotionally is a result of an imbalance of the universal life force/chi within the body which is visible as a frequency of light. Once the balance of the light is re-established the healing takes place. Jade’s pilates classes are suited to all fitness levels offering challenges or rejuvenation to connect back to your core self. Jade is a qualified exercise scientist, and pilates instructor who customizes classes to suit the bodies of people who are attending, so you’ll feel the unique one on one nurturing with each class. Pilates intends to help you find balance to align and restore your body and core stability from the inside out. You’ll strengthen every part of your body and improve mobility and flexibility to feel more aware and confident in all of your activities and day to day life." Through this Class you are introduced to the ancient art of Qigong. You are taught many specific Qigong techniques including Meditation and Movements for nourishing your Core Energy. These techniques will assist you to balance and heal your physical organs, your emotions and also to calm and centre your mind. You are assisted to listen more attentively to your internal environment and respond to your body’s Energy signals. The techniques taught in OpenSky Qigong are a unique synergy of Yin (passive, feminine) and Yang (active, masculine) practices enabling you to sink deeply into your state of Being where you access lasting peace and incredibly vibrant Energy. 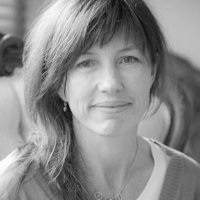 Belinda is a long term practitioner and experienced teacher of mindfulness programs and yoga with a mindfulness emphasis. Her Restorative Yoga class offers deeply restful poses supported by bolsters and yoga blankets to balance the mind body and nervous system as a foundation for illness recovery and to build resilience and optimise health and wellbeing. Mindful Yoga classes offer a mix of dynamic and ‘yin’ - styled postures and sequences for cultivating stability, strength and flexibility in mind body, with an emphasis on easeful, beneficial body alignment and somatic awareness. Classes are suitable for any level of practice and poses can be adapted to suit individual needs. Belinda will again run an 8 week Mindfulness-Based Stress Reduction (MBSR) course in Warburton this year, starting 22nd October on Monday evenings 6.30pm - 9pm. The course is evidence-based, shown to bring significant and lasting improvements for stress-related illness and conditions, decrease symptoms of anxiety and depression-relapse, and improve wellness in areas such as life-satisfaction and enjoyment, relationships and work-life, motivation and creativity.The course has been very well-received in the Warburton community in the past, and benefits are shown in research and anecdotally to be lasting. The course is very supportive for establishing a regular mindfulness practice. Belinda also facilitates The Wellspring’s weekly Silent Meditation Sitting. Silent Mindfulness Meditation Sitting Tuesdays 8am - 9am. Contribution by donation to the Wellspring.